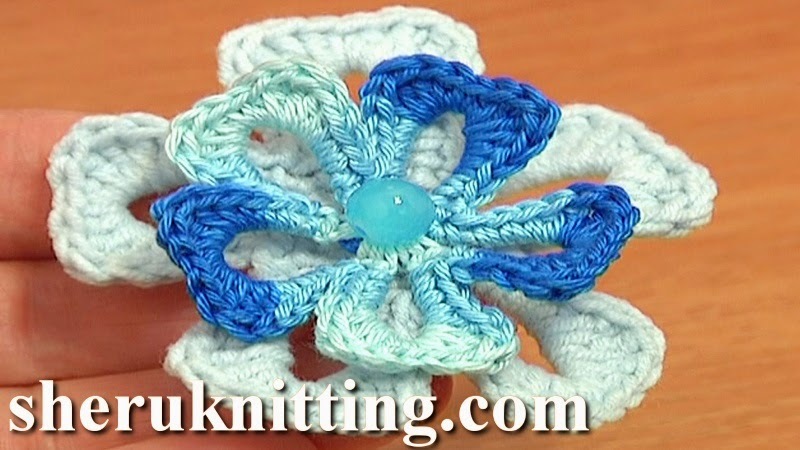 Free crochet flower patterns, easy to crochet flower video tutorial, easy to follow crochet flower tutorial, crochet a quick flower with Sheruknittingcom tutorials. This little crochet 5-petal flower takes less then 15 minutes to make. Super easy and quick flower is good for beginners to try. Make two same flowers of different types of yarn then sew them together to create a layered flower, add a bead to the center and your masterpiece is made! Use these little crochet flowers to embellish bags, hats, headbands and whatever else you like. We wish you all the best in your craft! Flower was made of yarn : 55% Cotton, 45% Poly Acryli, 160m/50g, 4ply. Steel Crochet Hook 2.25mm (which﻿ is #2 US standard).